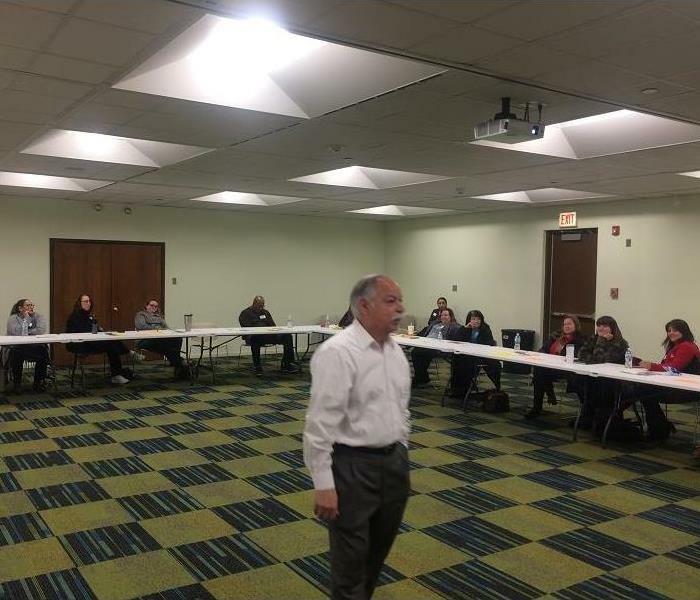 In April, SERVPRO of Bedford Park/Burbank sponsored an Ethics CE class for insurance agents at the Bedford Park Public Library. This class helps insurance agents garner credits towards their license renewal. Even though this year's class was small, the conversations were lively and ideas and experiences were shared. In March, 2019, SERVPRO of Bedford Park/Burbank was pleased to attend the ribbon cutting at the newly renamed SeatGeek Stadium in Bridgeview. 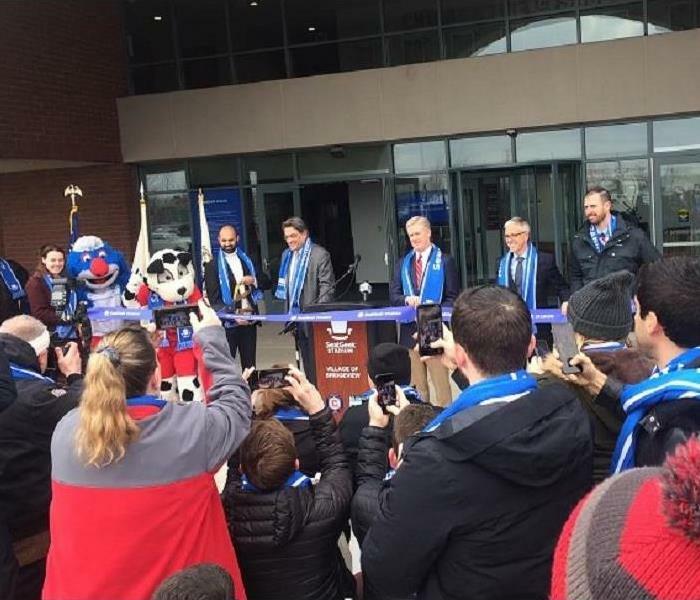 After short speeches from Mayor Landek, representatives from SeatGeek Stadium, the coaches from both the Chicago Fire and Chicago Red Stars soccer teams, the ribbon was cut, ushering in a new era in local professional sports. 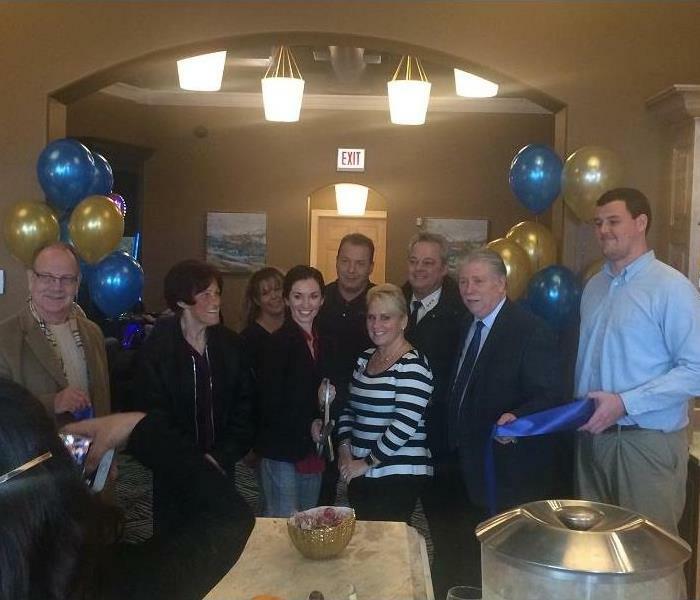 In January, 2019, SERVPRO Bedford Park/Burbank was on hand to watch the ribbon cutting for one of Burbank's newest businesses, May's Lounge. SERVPRO Bedford Park/Burbank is proud to support all local businesses, and we wish them great success in the future! 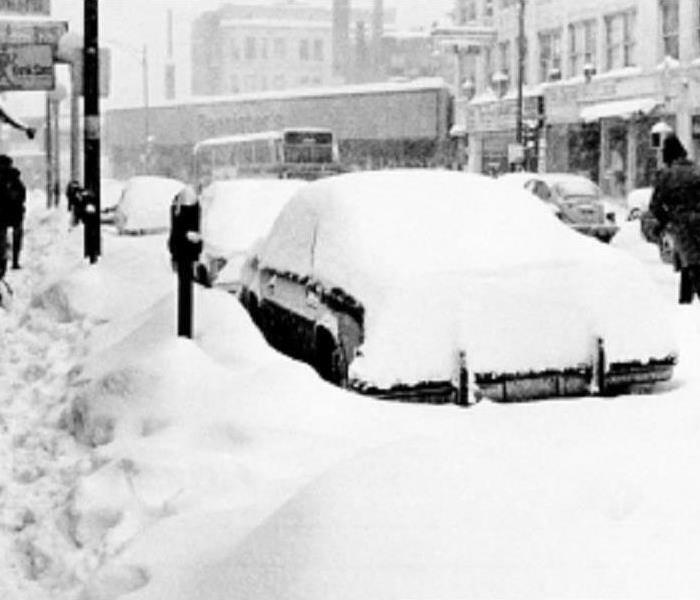 Recently, the Bedford Park Clearing Association held a Lunch & Learn at the public library. This month's speaker was Dan Godfrey, the soon-to-be-retired Police Chief of Bedford Park. 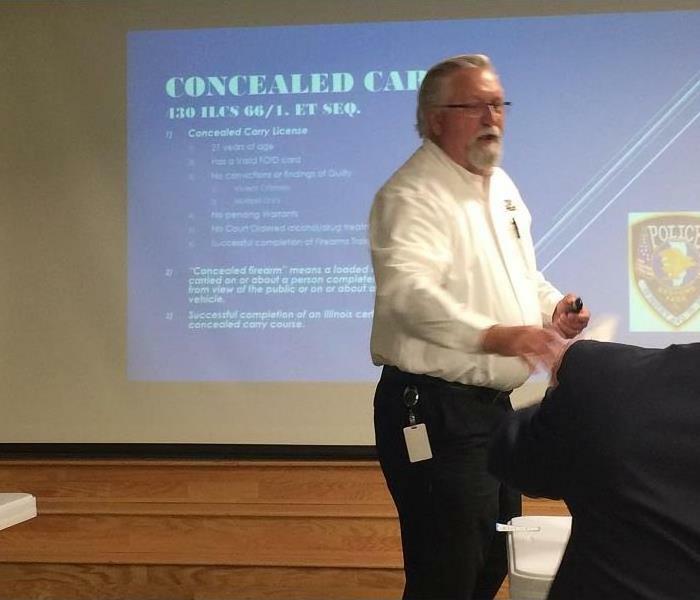 Topics included: Concealed Carry, Medical Marijuana, transportation through the community, and the upcoming elections. As usual, SERVPRO Bedford Park/Burbank was there to support the community. 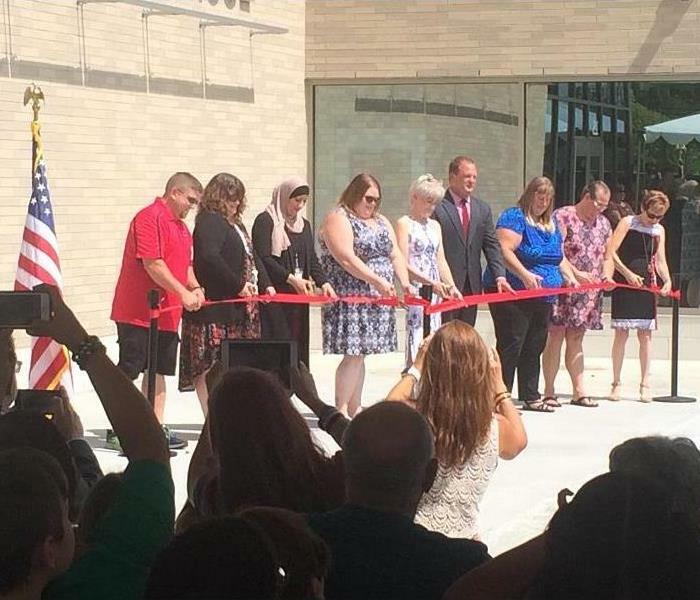 In August, 2018, SERVPRO Bedford Park/Burbank attended the ribbon cutting for the new Luther Burbank School. After the speeches and ribbon cutting, tours were given throughout this state-of-the-art school to the hundreds gathered. A couple of days later (but before school started), SERVPRO Bedford Park/Burbank was able to complete an Emergency Disaster Profile for the new school, which puts in place the procedures and protocols IF a disaster were to strike. All schools in Burbank, as well as the Administration Building, have completed the ERP. 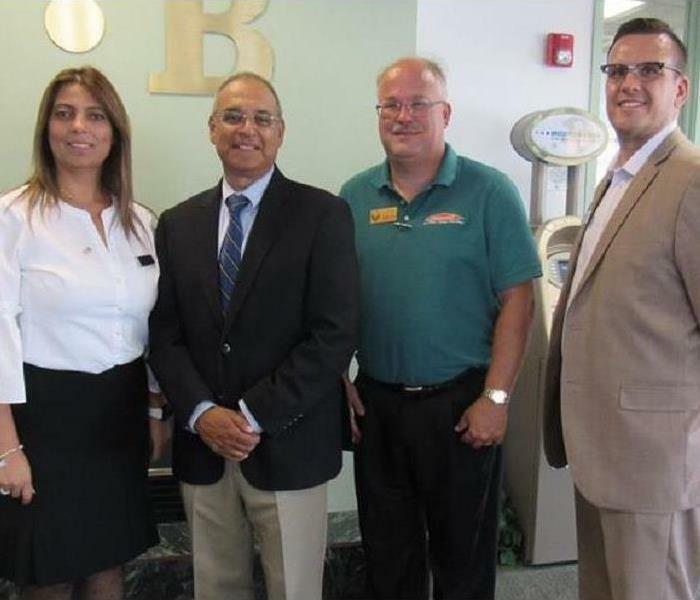 Lara Al-Ali - !st Vice President, Vic Portillo - President, Rick Gauger (from SERVPRO Bedford Park/Burbank) - 2nd Vice President, and Charles Liedtke - Treasurer. Not pictured is Sabrije Sabanowski - Executive Director. Recently, a charity basketball fundraiser was held, pitting the Bridgeview Police Department against the Bridgeview Fire Department. Proceeds went to the Bridgeview Chamber, which our very own Rick Gauger is a Director. The local Boy Scouts presented the colors while the National Anthem was sung. Wilkens Jr High Pom Pom and Dance teams performed at halftime, and a local contractor provided lunch for all attendees. In this inaugural game, the Police prevailed 38-36. SERVPRO Bedford Park/Burbank was fortunate to be asked to present at the 2018 Burbank SD #111 Career Day at Liberty Jr HS. 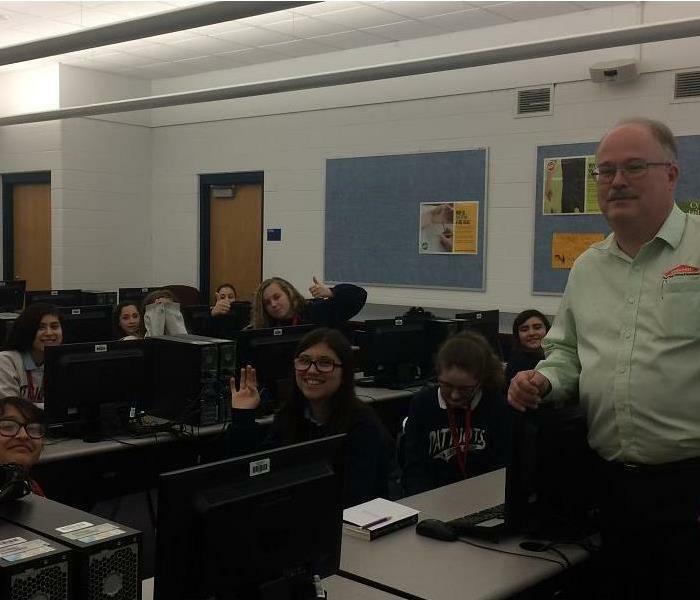 Six classes of 25 students each listened as Rick Gauger, Marketing Rep for SERVPRO, explained the services we provide, and even showed some examples. SERVPRO Bedford Park/Burbank is proud to educate the public, and especially proud to work with the youth in our area! 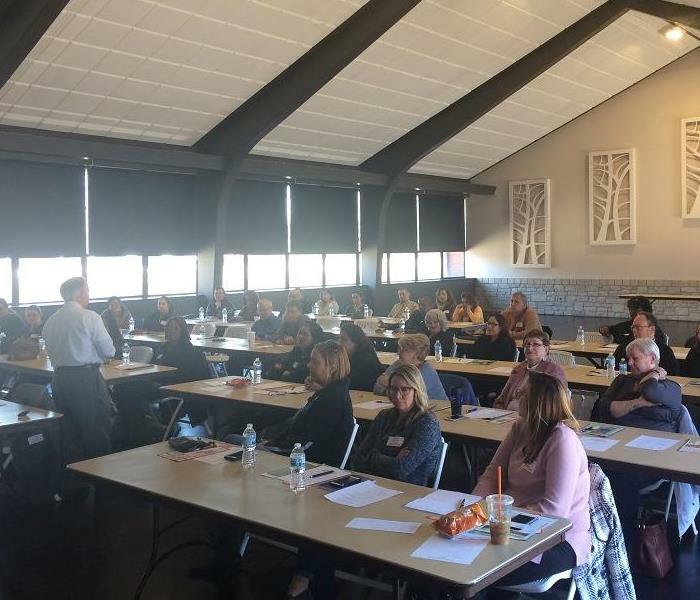 Thanks for all who attended our Ethics CE class in Bedford Park! SERVPRO Bedford Park/Burbank is proud to help agents in their quest to renew their licenses. 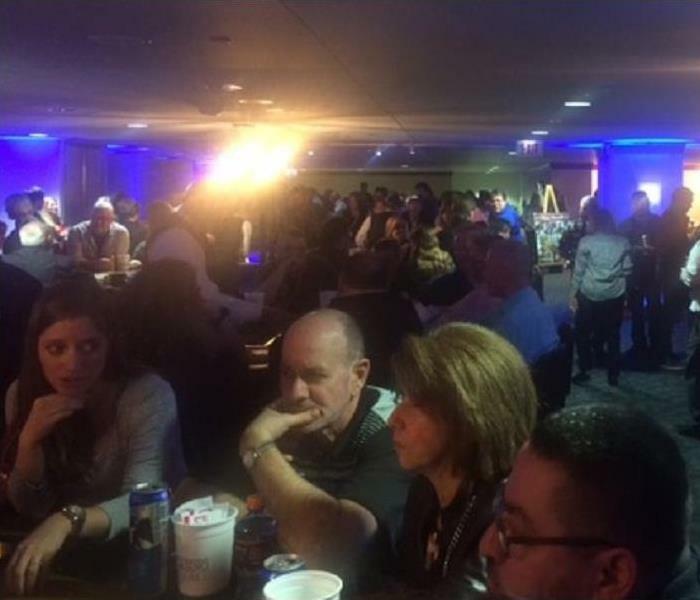 SERVPRO Bedford Park/Burbank once again supported the Argo HS Higher Education Casino Night at Toyota Park. The turnout was better than last year's event. Recently, Rick Gauger, Marketing Rep for SERVPRO Bedford Park / Burbank, volunteered by ringing the bell for the Salvation Army. We believe that helping the community is our top priority! In May, 2017, SERVPRO Bedford Park/Burbank had the pleasure to support the ASNOA (Agent Support Network of America) Trade Show. Not only did we have a booth to answer questions, but we also gave a 30 minute infomercial on mold, and how we can "Make it like it never even happened". 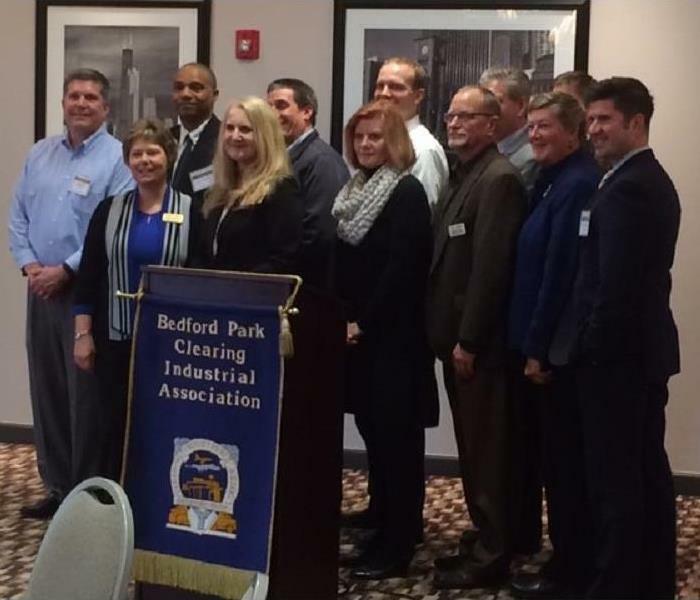 SERVPRO Bedford Park / Burbank is a proud supporter of the Bedford Park Clearing Industrial Association. In April, they held their 2017 election of officers at the Holiday Inn - Midway in Chicago. Pictured are the officers for 2017. 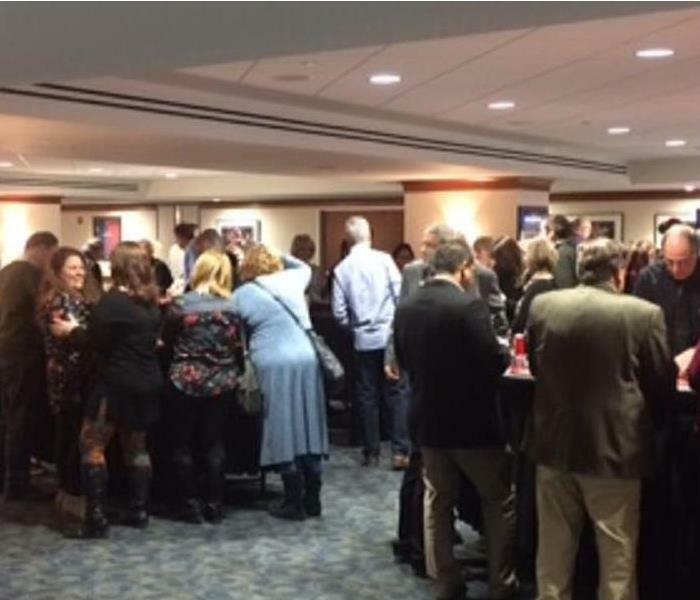 Recently, SERVPRO Bedford Park / Burbank participated in the ARGO Higher Education Foundation Casino Night at Toyota Park. Money raised from this fundraiser went towards four-year scholarships the Argo HEF gives out each year. SERVPRO Bedford Park / Burbank supports many community events throughout the year, helping build a strong community through action. 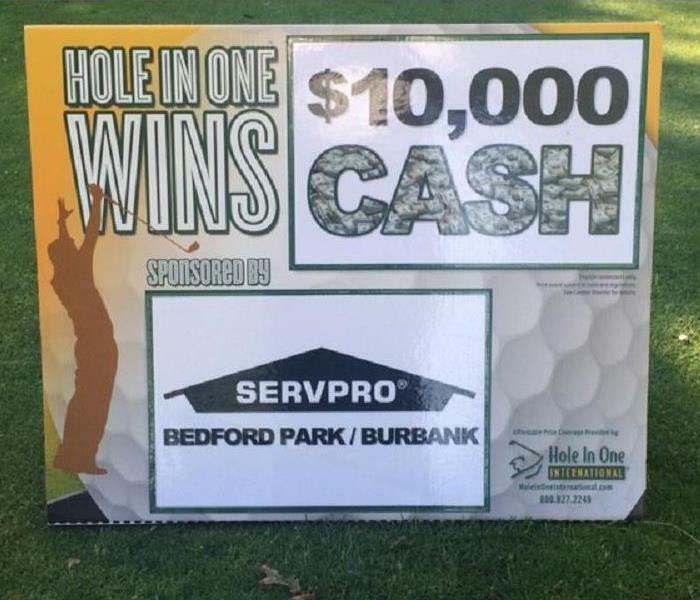 Once again, SERVPRO Bedford Park/Burbank was the proud hole in one sponsor of the Bedford Park Clearing Industrial golf outing, held in June. No one won the money, but there were a couple close shots!